I have a confession to make. I am a lazy sock knitter. It’s true. While I love and admire all the beautiful lace and cable socks on Ravelry that I see others make, I like just zoning out and knitting a simple stockinette sock. Thankfully I’m a knitter at a time when there are lots of types of yarns to choose from. And that’s where this week’s WIP Wednesday comes in. I am knitting these socks for myself (for once!) 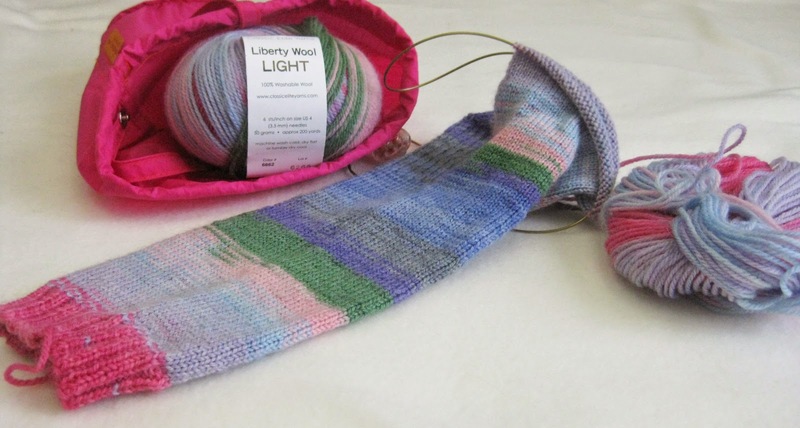 out of Liberty Wool Light in 6662 Watercolor Rainbow. I love that I can just cast on, knit my ribbing and then change to stockinette and have beautifully striped socks…with no extra ends to weave in! It’s really fun to watch the stripes form and even fuels me to knit an extra round or two here and there…hoping to make it to the next color before I have to tuck my project away. I have kinda big feet, so I cast on 72 stitches and used a pattern that is in my head (because I have knit it so many times). There are a ton of free simple sock patterns on Ravelry. Or if you want to invest in a book of sock patterns, there are lots of great authors to choose from; I highly recommend anything by Charlene Schurch, Ann Budd, Cookie A., Alice Yu or Clara Parks. 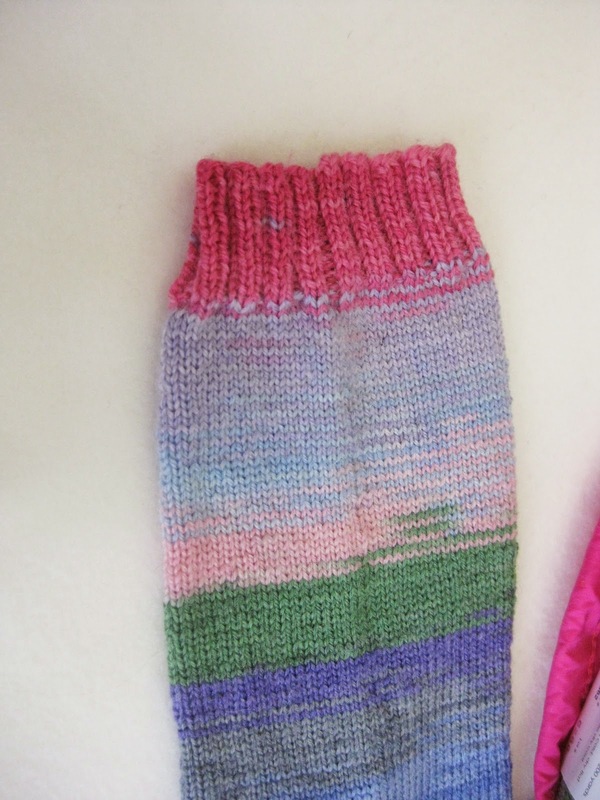 Stockinette socks are a great project to have on your needles. When I used to take mass transit, they were my go-to project, for their ease and their size. They are also a great way to pass the time in any line you have to stand in – at the grocery store, the bank or waiting to get into a concert.